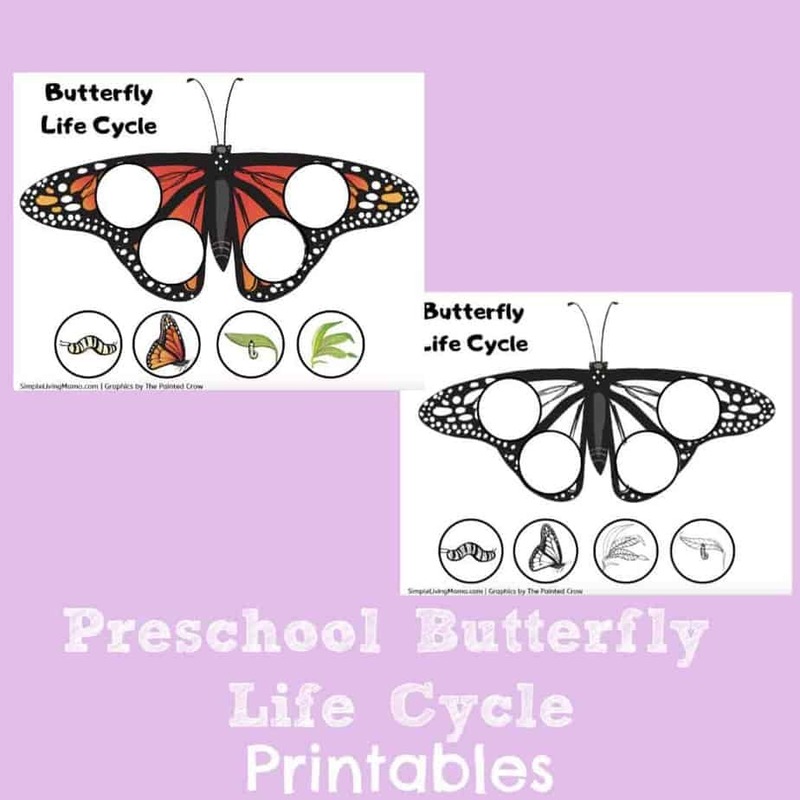 Help your preschooler learn the butterfly life cycle with these cute life cycle printables! Simply cut and paste the four stages of the life cycle in order on the butterfly. 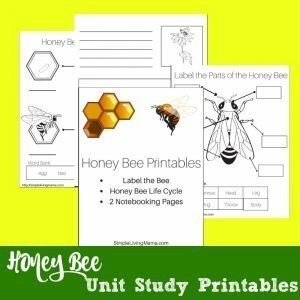 You’ll receive both a color and black and white version. 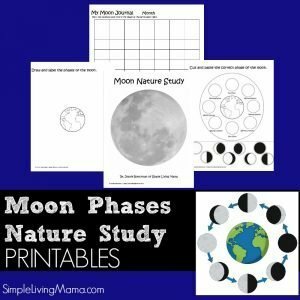 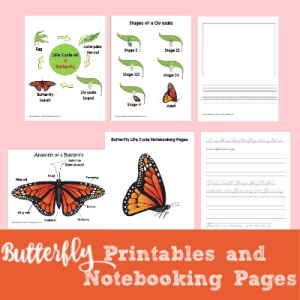 Pairs great with our butterfly life cycle notebooking pages for K-6th graders.